With over 179 million active buyers in over 100 countries, eBay gives sellers instant access to a global marketplace. But how can you make the most of this exposure and increase your eBay sales ? This guide covers key considerations and best practice you need to follow when selling on eBay. Offering high demand products is probably the most obvious way to increase sales. By researching and assessing demand for particular products on eBay, you can choose stock to increase your eBay sales. An eBay store lets customers see you’re a legitimate retailer, rather than a casual seller. Creating a professional brand with custom listing design helps to instil trust into potential customers. eBay shops are particularly good for sellers with larger order volumes because they offer lower listing fees. You can pay as little as 1p per listing with an Anchor Store, compared to the regular £1.30 listing fee. Get your step by step guide to opening an eBay store. You can easily increase your number of potential buyers, either by enabling international postage on your domestic listings, or by listing directly on eBay’s worldwide sites. Listing your items for sale directly onto eBay sites around the world is called Advanced International Selling. Offering worldwide postage on domestic listings is called Basic International Selling. With Basic International Selling, you’re specifically creating one listing that is shown across multiple international sites. With this option, eBay will convert the price of the listing to the local currency, based on a daily exchange rate. However, they won’t translate these listings into the local language, which can impact your conversion rates in international markets. You should also keep in mind that buyers are shown products from their own country first. Every so often, eBay runs promotions across other eBay country sites to promote international trade. These promotions give your products wider international visibility simply by having worldwide postage options on your listings. Buying the International Site Visibility upgrade will maximise your item’s visibility. Advanced International Selling is when you create listings on eBay’s international sites, for example eBay.fr or eBay.com. In other words, you create separate listings for each country that you wish to sell in. There are numerous benefits to taking this route. Firstly, your listings will appear in default search results rather than being shown as an international listing. Secondly, you will have the flexibility to translate your listings into the local language. You will also be able to tailor your pricing to the specific market. This is particularly beneficial if you’re selling an item that you can charge a premium for in certain markets. When it comes to international eBay fees, you will be charged the appropriate rates for each country. If you have a Featured or Anchor Shop subscription, you’ll pay the discounted insertion fees for your equivalent shop subscription level in that country, which in many cases means zero insertion fees. eBay Global Shipping Programme is eBay’s own international delivery programme. It enables sellers from the UK and various other countries to sell to international customers, without having to deal with the extra work associated with cross-border trade. eBay take care of product verification, customs forms, international postage, parcel tracking and shipping related customer queries so you don’t have to. By using eBay’s Global Shipping Programme you can increase your eBay sales to international markets without extra administration. All you need to worry about is enabling global postage (or postage into specific countries) on your listings and shipping your sold item(s) to eBay’s shipping centre. eBay then take over fulfilment of the item. You can learn more about how to increase your eBay sales with the eBay Global Shipping Programme here. A ready stream of traffic is probably the biggest attraction for sellers listing products to eBay. But that traffic will only come to your listings if they appear in search results. And as we all know, the higher the search result, the more likely people will see and click it. To increase your eBay sales, you need your listings to appear higher in search results. eBay search results are controlled by eBay’s own search algorithm, Cassini. Making sure your listings rank well requires understanding of both how buyers search on eBay, and how Cassini determines the relevance of listings. Read our full guide to eBay’s Cassini search engine to see how you can optimise your listings for search. Amazon is famous for the success of its ‘customers also bought’ cross promotion on product pages. The same technique is just as effective for increasing your eBay sales. Cross promoting related products or accessories can be a great way to increase your eBay sales. Consider offering an upgraded version of the current product, as well as accessories that would complement the current item. Again, it’s important to ensure that you don’t link through to dead links or out of stock items. Frooition eBay designs dynamically pull in cross promoted items based on the category, in order to ensure sellers have relevant items on every listing and no dead links. If an item sells out, another item is shown in the cross-promotion area. Multi variation listings can help to increase your eBay sales in numerous ways. Firstly, conversion rate factor is super important to the Cassini algorithm. The higher the percentage of people who click through after seeing your listing in the results, the higher your listings will appear in search. A listing offering three colour variations and five different sizes will convert to more sales than a listing with just one size and colour. Secondly, sales history is everything on eBay. Customers will look at it to decide how trustworthy you are, Cassini will use it as a ranking factor for the buy box, and eBay themselves take it as the most reliable measure of seller performance. Listing items individually spreads feedback across multiple listings. Alternatively, grouping variations of a product into one multi variation listing concentrates feedback into one listing, creating a stronger sales history. It’s important to note that listing items individually and then again in a multi variation listing would breach eBay duplicate policy rules and so should be avoided. Group Similar Listings is not yet a default setting, but eBay have said that it will be in the future. Currently it’s a clickable option that groups search results so that all listings for the same product are shown on one product page. This page gives a clear overview of buying options. eBay’s algorithm assesses offers, and puts the best offer on the front of the product page with a “buy now” button. The item featured in the buy box is not random. eBay uses a number of factors to decide who will win the buy box. Unlike the Amazon buy box, on eBay price and fulfilment alone do not decide who gets the buy box. The eBay buy box is given to the offer eBay judges to be the best deal for the buyer. This is about quality of service and overall value for money, not just the lowest price. It’s a complex decision made using many factors. eBay say that products featured with the the buy box sell 60% faster than with regular listings. 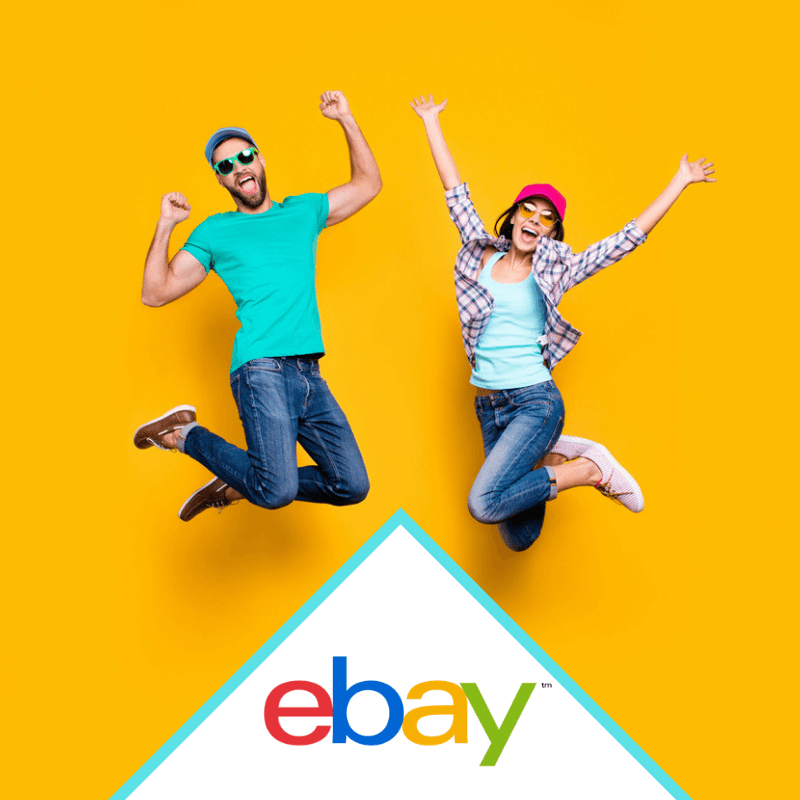 If you sell products included in the product based shopping experience then you may like to read more on how to win the eBay buy box. So far we’ve spoken a lot about how to drive traffic through to your eBay listings for increased page views. Now we need to tackle how to ensure those visits convert to sales. I don’t think the fact that competitively priced items generally sell quicker will come as a surprise to anyone. Price is not the only convincing factor for customers, and for many it isn’t even the strongest, but if you operate in a highly competitive market, competitive pricing can certainly be an advantage. The more rare or unique an item, the less relevant competitive pricing is. If you’re selling George Michael’s used napkin, you’re probably operating in a vertical of one and are free to name your price. Selling Dell Laptops or iPhones however, you’re selling in a crowded vertical and competitive pricing is essential. More than half of online shoppers think that product visuals are more important than product information, reviews, and ratings. High-quality, professional looking product images and videos help you sell more. Visuals help customers to understand a product. High quality images showing a product from various angles, being worn, held or placed next to another item for scale give customers information they need to make a buying decision. Make sure every detail of the product is clearly visible in your product photos. If there’s a scratch on the item, document it. By clearly describing and photographing the fault, you not only reduce negative feedback, but you also cover yourself in the event of a complaint. If possible, use large images over 1200px on the longest edge on a white background, as this gives your images a more professional look and highlights the product. A detailed and accurate product description helps convince eBay customers to purchase from you, and also helps eBay to appropriately rank your products in relevant searches. Here are some specific tips for writing perfect item descriptions. Lastly, it may not always be possible for you to offer fast and free postage, but if you can, then you should. It’s proven to increase your eBay sales.Free postage helps towards ranking first in best match results and winning the buy box for catalog items. Delivery is a high priority factor in purchase decisions, so even f you can’t offer it all year round, offering free postage can be an attractive offer around peak times such as Black Friday and the Christmas period.